The Parlour Room is a leading Sydney beauty salon frequented by a loyal clientele of high profile personalities and dedicated locals. 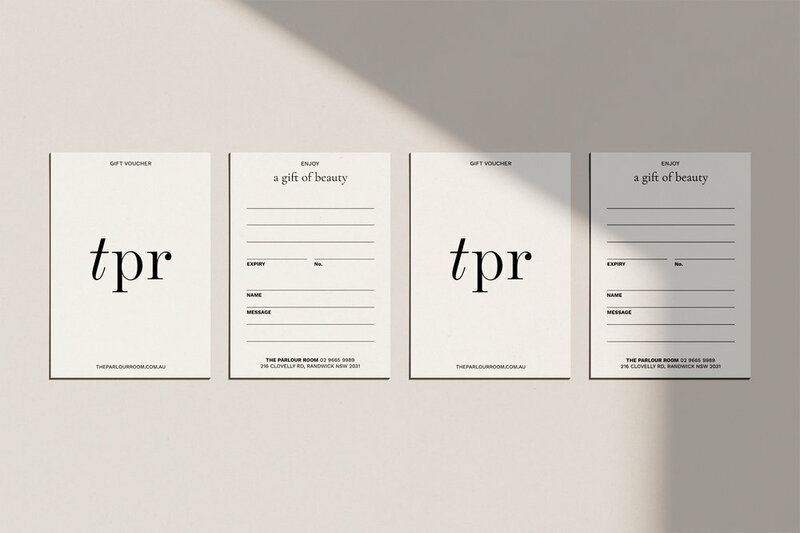 I re designed the salons branding to create a more minimalistic and fashion forward visual identity. This included a new logo, business cards, gift vouchers, nail kits, signage and more. A full website re design will soon follow.